Aromatherapy is an ancient art in the process of becoming a modern science. The distilled essences of leaves, blossoms, bark and other plant parts are known as essential oils; they contain powerful phytochemicals that can promote healing and well-being. 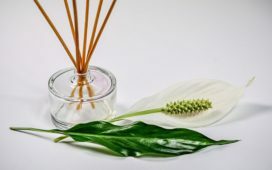 Aromatherapy treatments use essential oils in a variety of ways- they may be inhaled full strength or used with a carrier oil, clay, salt, or other ingredients that dilute the powerful volatile oils, which can be harmful if applied to skin or hair full strength. 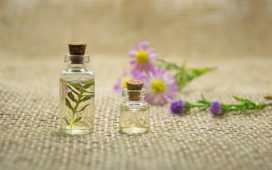 Aromatherapists and others who work with essential oils learn to dilute and apply essential oils in applications that are safe for the client, making special adjustments for those who are very young, those with particular health conditions, or pregnant women. Aromatherapy treatments can often be pleasant, as they may involve oils from sweet-smelling herbs, flowers, spices or fruits. A treatment including peppermint can relieve pain. Peppermint also stimulates blood flow to the scalp if used in preparations for the hair or scalp, creating a pleasant tingling sensation. Some have reported improved hair growth after using a hair or scalp treatment which included peppermint. Lavender can help with insomnia and inhibit the growth of pathogens, and is named for a Latin word for cleansing. Eucalyptus can ease symptoms of nasal congestion, and is popular in cold and allergy remedies. Essential oils can be used in products other than those applied to the body. Household cleaning products may be scented with essential oils, taking advantage of their antibacterial properties. These pleasant scents provide a lift to all who enter your home. Citrus essential oils are popular in cleaning products and are refreshing. Floral essential oils are soothing, and excellent for cleaning the bedroom or bathroom. 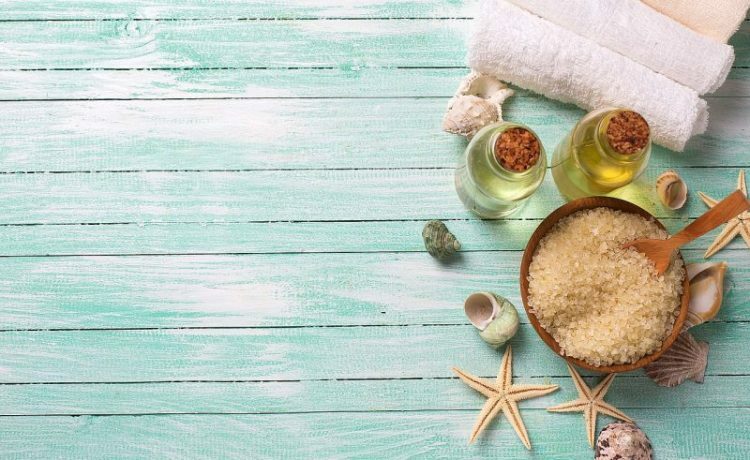 While some aromatherapy remedies are best administered by a trained professional, there are a few you can try at home. Make sure to get a product marked as a pure essential oil; fragrance oils rarely have the benefits of essential oils. Add a few drops (between five and twenty, depending on the size of the container) of an essential oil to products you have at home to boost their effects. A few drops of lavender essential oil on a cotton cloth placed under your pillow will help you have a good night’s sleep. Adding rose or orange blossom oil to a toner or moisturizer will help your skin retain moisture without becoming greasy. Add rosemary essential oil to your shampoo or conditioner to boost shine. While essential oils should be handled carefully, they offer great benefits for overall health and well-being.